Knowing when to build the right items is the key to success in a game. 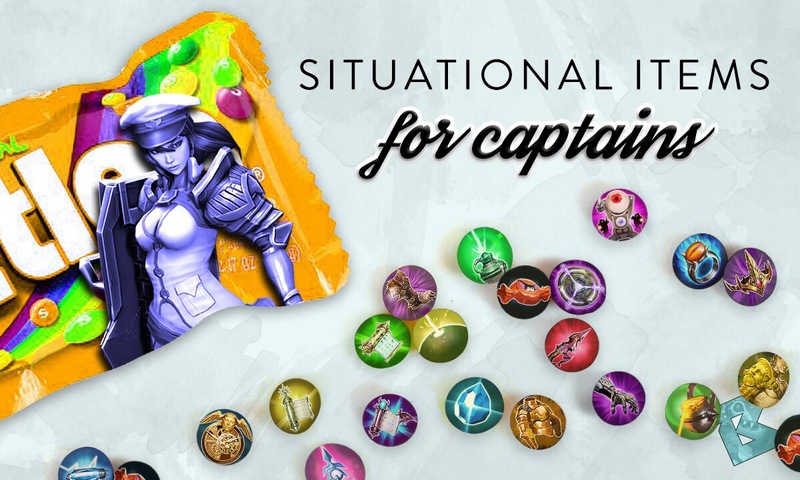 This article tackles that feat, providing an in-depth look at situational item building for Vainglory captains. Be sure to read up on the counterpart guide: Situational Items for Carries. These two resources augment our new Top Hero Builds page releasing tomorrow. Without further ado, let’s dig in! Core items take their place in almost every captain build, sometimes being completed as early as five minutes into the game or left until the last item. Fountain of Renewal — This is frequently the first item that captains build and should be prioritized in most games. The sheer amount of healing that Fountain provides on top of its passive allows you to tank poke damage between fights. Fountain of Renewal is most effective when activated while your carries are of considerably low health (the lower the better). However, during some team fights, your carries receive more damage than Fountain can heal. Time the activation precisely! Crucible — Crucible occasionally replaces Fountain in the first-item-to-build category by professional or more experienced players. With the extra health, Crucible boosts abilities which have a bonus health ratio (Lyra’s Imperial Sigil, Lorelai’s Waterwall, Ardan’s Vanguard). Its team-wide Reflex Block active is most effective against enemy compositions with heavy crowd control (abilities that can stun, slow, etc. — such as Phinn’s Forced Accord, Catherine’s Blast Tremor and Adagio’s Verse of Judgement). Being able to immediately provide a barrier for allies compared to the slow acting Fountain, Crucible can be considered the superior item for a captain against bursty enemies. War Treads — This item is the most natural progression for captains to build into from Travel Boots, as they provide more utility than other boots. They also add extra tankiness so you can soak in more damage during a fight. War Tread’s activation gives your entire team a speed boost, aiding them in engaging (starting) fights or pursuing kiting enemies who keep your carries at a distance while dealing damage. Conversely, its activation can help with disengaging (leaving fights) or helping your carries kite away from sticky enemies. These items are often seen in captain builds, but are built according to the draft picks and situation. Atlas Pauldron — Atlas Pauldron lowers the attack speed of affected targets. This means that the items that provide bonus attack speed will also be affected by Atlas (for more information, check out our attack speed article). So, the higher a target’s attack speed is, the more effective Atlas Pauldron is. Note that Atlas Pauldron also affects abilities which cooldowns are based on attack speed, such as Gwen’s Boomstick and Joule’s Thunder Strike. SuperScout 2000 — Free-flow Scout Cams and Flares! Who wouldn’t want that? SuperScout 2000 is used to gain an upper hand in the captain’s vision war. Having a constant source of Flares without needing to shop is a boon, especially in the late game — where predicting the enemy’s position becomes more difficult. The extra cooldown also lowers ability cooldown timers for more frequent utility. Build SuperScout when you feel like you’re struggling to maintain vision control over the map. Lastly, with the addition of Teleport Boots to the Sovereign’s Rise, placing Scout Cams at key positions near the dragons or the enemy base allows your allies with Teleport Boots to immediately travel to these positions! Build Flare Gun first for free flares. Early game vision really helps a lot! Stormcrown — Stormcrown allows captain to dish out mediocre damage against objectives and provide additional cooldown. It’s not to be built against a specific enemy type, but rather to help the captain secure objectives and pressure poke damage against enemy carries. Clockwork — Clockwork allows captains to quickly dish out crowd control and refresh their abilities while doing so. However, this items tends to be more favorable for mages since it allows them to spam energy-hungry abilities with short cooldowns. Clockwork lacks the defensive stats that captains require to remain viable as tanky supports. Captains who would be able to make best use of this item are those who have long cooldowns on ultimates and deal damage to enemies with their other abilities. Despite having relatively short cooldowns on her abilities, Lyra’s abilities are pretty energy-hungry, and Clockwork is the best item of the three energy items (the others being Echo and Halcyon Chargers) since it provides extra cooldown. Lyra’s Imperil Sigil and Bright Bulwark both deal damage to her enemies, which triggers Clockwork’s passive and reduces cooldowns. All three of Catherine’s abilities deal damage to her enemies, and having her crowd control up more often means she can stun and silence more, allowing her heroic perk to stack up and provide her with more defense. She also has a long cooldown on her ultimate, which benefits from Clockwork’s passive. His abilities (Gift of Fire, Agent of Wrath) have utility that scale with crystal power. Build Clockwork after crystal items such as Shatterglass. Nullwave Gauntlet — 5 seconds of item silencing is a longer duration than Catherine’s Blast Tremour (3.5 seconds) and Vox’s Wait for It (0.7 seconds). Having problems with a second round of ability usage? Just fire Nullwave Gauntlet when the enemy Celeste is using her first ultimate. This prevents Celeste from copying her ultimate until the silence is over. This would force the mage to make a choice between using her other two abilities during this period and waiting until she can copy her ultimate. Nullwave Gauntlet was the designated counter to Echo, but also heavily counters Crucible/Reflex Block. It can be cunningly used to bait out or nullify a player’s Reflex Block, followed up by a debuff, stun, slow or some other form of crowd control. For example, use Nullwave on an enemy carry, followed by Ringo’s Hellfire Brew. Or use Nullwave on the captain before using Phinn’s Forced Accord. When used on the enemy captain, they would either be forced to activate their Crucible or be unable to activate any items — including War Treads and Fountain of Renewal — for a significant period of time. Nullwave Gauntlet can also be used to deny enemy carries their boots activation and thus cut off their escape. This can be useful on captains who lack crowd control or if their abilities happen to be on cooldown during a chase. These items are more rarely seen in captain builds and are generally overshadowed by utility items. Think twice before purchasing them! Echo — Echo’s main gimmick is being able to use two abilities in succession, but we need to remember that it takes up an item slot. Also, its recipe to reach tier 3 costs 1500 gold — the most expensive upgrade in Vainglory, even more than the upgrades to Shatterglass and Sorrowblade (1300 gold). Echo’s active works best on captains whose abilities have long cooldowns and bring utility to the team. Aftershock — With its stats and passive, Aftershock provides captains with that extra “kick” whenever they initiate a fight. The 50% lifesteal from its passive also provides tankiness. Great for captains whose abilities proc Aftershock (if their abilities include basic attack effects). Extra crystal power can make her Stormguard bubble hurt a bit more, and the Aftershock proc from Merciless Pursuit deals a significant amount of damage, especially when you expect to activate it more than once every team fight. Similar to Clockwork, Aftershock allows Glaive to use his Afterburn more frequently. With Aftershock, he deals more damage instead of getting the extra energy. Two out of three of his abilities (Law of the Claw, Truth of the Tooth) allow him to quickly follow up with an Aftershock proc. 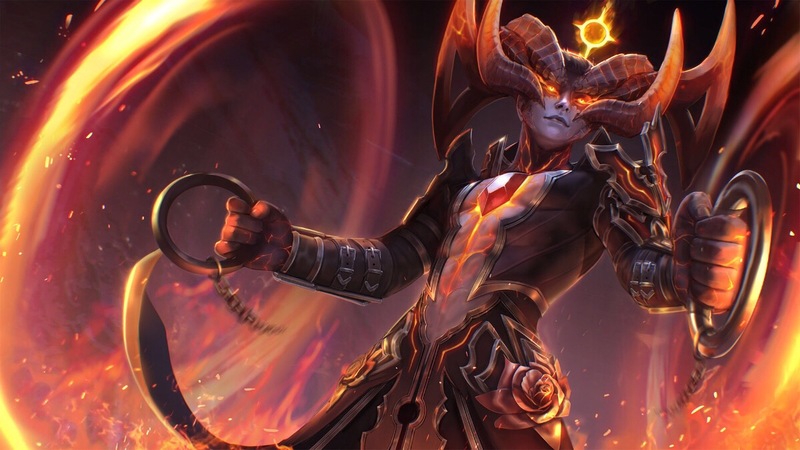 Poisoned Shiv — Providing heroes the ability to apply mortal wounds every second basic attack, Poisoned Shiv is the way to counter teams running Adagio and Lyra or relying heavily on Fountain of Renewal. That -33% healing debuff on enemy carries is going to hurt a lot, as it denies them the support they should receive. Mortal wounds also reduce barrier and fortified health. That means Poisoned Shiv directly counters sustain heroes such as Krul and Reim, who rely on heals. However, in that instance, your weapon carry will most likely be building this. Captains should prioritize other utility items. Shiversteel — Shiversteel is typically built to prevent a sticky enemy from reaching a squishy ally, or to let your carries reach a kiting enemy. However, with abilities that provide slows outstripping Shiversteel’s utility (Adagio’s Gift of Fire, Flicker’s Fairy Dust, Gwen’s Buckshot Bonanza), this item has taken a backseat from the build lineup. You can now slow enemies with your ranged attacks and don’t need to be in the thick of the fight to apply slows. The extra health Shiversteel provides boosts your heals as well. Shatterglass & Dragon’s Eye — With the raw crystal power, Shatterglass is generally limited to Grace, Adagio and Lance among the captains. This is because their abilities have utility that scale with a crystal ratio. Alternatively, if you tend to participate in long team fights, with sustain or tanky heroes as allies, you can consider getting Dragon’s Eye instead as it scales well with team fight length. Aegis & Metal Jacket — These two items are mostly unconventional to buy as a captain, since they are “selfish” items and don’t bring utility to the team. However, they are effective in keeping your captain alive as you body-block abilities from an irritating Kestrel or Skaarf. If you are a beginner, consider other utility items first. It takes some experience to know when to buy these two items for effective use. Note: To body block this, you have to be way in front of your allies. When Malice and Verdict hits, it deals AoE damage around the target. These items are generally bought in the early game, then sold later on in the mid-to-late game when their usefulness diminishes. Ironguard Contract — Ironguard Contract is typically one of the first two items that captains purchase at the start of the game for 3V3 matches. With the advent of 5V5, however, its popularity has waned significantly. Nevertheless, Ironguard Contract is still useful as it is able to provide extra health and energy that your ally needs to sustain in lanes, or clear faster with abilities in the jungle. The key merit of this item is the amount of energy it provides, allowing your allied mage such as Skaarf or Celeste to keep farming and dishing out abilities for longer periods of time without needing to recall. 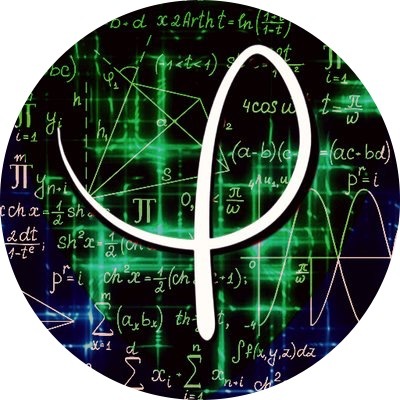 Protector Contract — Protector Contract is arguably the most valuable contract in 5V5 games. Giving an extra barrier to your allies, this contract is useful when you expect to engage in fights in the early game while your allied heroes are squishy. Protector Contract provides 120 barrier to all nearby allies, with a 15 second recharge time and 2 charges available. That’s basically a multi-hero Vanguard (120 barrier at level 2) available more often than the ability itself! Like most other contracts, however, its effectiveness fades off during the late game, so sell it when you need the slot for other items. Dragonblood Contract — In the early game, that extra 100 crystal damage can swing the fight in your favor. Dragonblood Contract is especially useful when you expect to activate it around multiple enemies — during jungle invades or counter-ganks in the lane. Minion Candy — Minion Candy is used to push the lane and maintain lane pressure. While the finer strategies behind using Minion Candy are rather complex, candies can be used to pressure the lane and secure turrets or freeze the lane while the laner rotates down to the jungle or other lanes. Stormguard Banner — With the bonus true damage, Stormguard Banner is a reliable way for captains to unlock early game damage and objective clear. Stormguard Banner is so cheap that you can purchase it during your first buy of the game. Remember, you can just buy the banner, and then sell it later when it is less useful in the late game! To understand how the damage on stormcrown works let’s use level 12 as an example. At level 12 the extra damage is 130, per second. So, think of this as a one second version of tension bow, except that even if it isn’t fully charged, what has been charged will still be deal at damage. For example, if a hero atttacks twice a second, then the first hit will deal 130, then after half a second the second hit will deal 65, then after another half second it will deal 65, as it hasn’t been fully charged. How does Stormcrown’s DPS rule work? As Sean mentioned at level 12, it’s 130 damage globally per target. If two heroes attack one target, how is the damage of the first attack determined? The game cannot know that the second attack will register within the 1 second time frame. In another scenario, let’s say there’s one only hero attacking. Is the damage per SC hit per determined by your attack speed? For example, if your hero can register a basic attack every half second, does it automatically determine that each hit is worth 65? In that instance, what happens, if you cancel your second attack (or stutter step poorly)? Instead of your DPS being 130, it’s 65 since you only registered one attack in time. Stormguard Banner and Stormcrown damage is on a running timer — the maximum amount of damage can only be dealt every one second. So, if Stormcrown can deal 130 damage (level 12) to a structure, and you issue two basic attacks with a 0.5 second delay between, the first attack will deal the full 130 damage and the second attack will deal whatever has re-generated at that time (if any). Usually, this does not become an issue for one hero since attack speed is rarely coupled with Stormguard Banner or Stormcrown. This timer is global to each target, meaning that if two different heroes issue one basic attack within one second to the same target, they will each deal reduced damage as opposed to 130×2.